Hundreds of veterans of the historic Gordon Highlanders regiment are to take part in what is thought likely to be their last major parade. The famous regiment was amalgamated in 1994 to become part of the Highlanders, with Prince Charles its last colonel-in-chief. Saturday’s event is being held in the Moray town of Buckie. It is honouring recipients of the Victoria Cross, the UK’s highest award for gallantry. Retired regimental Major Grenville Irvine-Fortescue said it would be a significant day. He said: “Some people are concerned that this may be the last big gathering, I think of its size it will be. “Of course the regimental association has a number of branches scattered from Inverness to London, and those branches will continue to have reunions and gatherings on a smaller scale. A plaque will also be unveiled to commemorate Private George McIntosh, who was one of the regiment’s VC recipients, and is buried in Buckie. 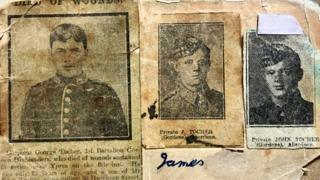 In November, BBC Scotland told how Peter and Elspeth Tocher from Aberdeen lost five sons who served with the Gordon Highlanders in World War One. The father of the five men also enlisted as he was so distraught to be losing his sons one by one. Revolutionary Creative Writing And Brainstorming Software.